Thank you for tuning in for another episode of the BLC podcast! I got an interesting question on Instagram the other day so for this week, I’ll be discussing several ways you can use your tax return in order to invest in yourself. Managing your finances is usually not a great source of fun, but getting back some money you weren’t counting on is always a pleasurable experience. It’s kind of like a supersized feeling of finding a 20 in your back pocket! And you can let that money ride and invest it in a way that will help you either secure your future or improve your business. Enjoy the show! Let's face it. Unless you're really good at it, you probably don't enjoy handling your company finances. Imagine what you could be doing with that time instead! Click the link below for 20% off your first six months of bookkeeping! Hello everybody and thank you for joining me once again for an episode of the Business, Life and Coffee podcast! This week, I wanted to talk about a book that really changed my perspective when I was first starting out. It’s called “Who Moved My Cheese” and I think it’s a great read, especially for those who are still at the beginning of their career. The book is about reaching our goals and attaining things we truly want in life. I’ll share a sneak preview with some of my favorite quotes and talk a little about how it helped me get my cheese! This week on Business, Life and Coffee podcast we’re exploring one of the best ways to get ahead and advance in your career. Today I’ll be checking in from a hotel room in Vegas after a busy day of conference life! Yes, I’m attending a business conference for the next several days and I’m going to tell you all about it in the podcast, along with my top three reasons why you need to start going to conferences too! My goal is to share some insight from some of my past experiences in the hope to inspire you to take action and explore all the modern topics of your industry and perfect your craft, all while making friends and mingling with your peers! Hello everyone! It’s a real pleasure to welcome you for yet another episode of the BLC podcast and this week we’re going to discuss how being a parent can affect your work life. I’ll be sharing from my personal experience and talk about how being a parent has changed my perspective in terms of me being an entrepreneur. These are the main three things that I’ve learned to value more since I became a father. Now, these are just some of my insights, but I’d love to hear about your experience as well. Feel free to share your story in the comments or hit me up on social media. Sit back, relax, grab your favorite cup of coffee, and let's talk about parenthood! Thank you for joining us for another episode of the BLC Podcast! Today we’re going over some of the top tips for developing your very own business travel routine and talking about getting the most out of each trip while making sure you’re taking care of your health. Whether it’s having to travel for a meeting or if you’re attending a conference, it’s important to develop good habits that will help you reduce travel anxiety and stay on schedule. We’re going to discuss work organization, delegation, time management, working on the go, maintaining the work-life balance and much more. This podcast is dedicated to all of you current and future road warriors out there who are looking to optimize your business travel experience. 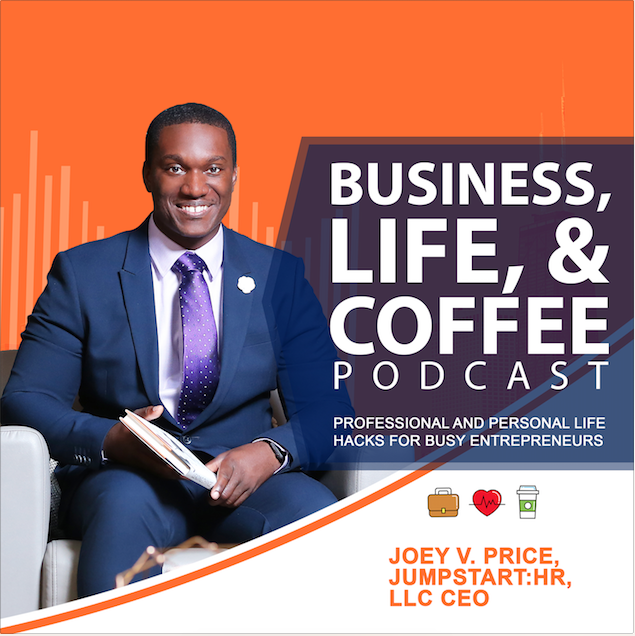 Welcome back to another episode of the Business, Life and Coffee podcast! This week, we’re talking about some of the best ways for managers, executives, and leaders to organize their work schedule. In today’s business, an average 40-hour work-week starting to look like an arbitrary assessment. For many of us, work has started to seep into the time we should have reserved for either resting or nurturing other aspects of our life. We’re constantly being put in situations where we’re choosing our work over our private life but there is a potential solution to be found in better organization of our work and our schedule. What are the three key aspects of your work as a manager that you should take into account when planning your work-week? Check out the podcast and find out! Welcome Business, Life, and Coffee fans! This week, we have a very special episode in store for you. In honor of Black History Month, we’re going to eulogize about some very inspirational people who’ve made their mark in history and we’ll try to pinpoint what was the main reason behind their success. Listen closely and find out 5 ways that you can follow in history-makers’ steps and actually make history for yourself! We’re also adding another feature we’ve announced a couple of episodes back! Each week, we’ll be starting off a podcast with a special Q&A section and today we’re answering the question “How easy is it to become an influencer?” The question of influencers is a very relevant topic for the modern business world, so be sure to tune in and hear more about it! Lastly, the premiere of our very first Monday Night Mastermind is drawing near so don’t forget to add your name to the list! Join us every week for a full hour in exploring topics such as entrepreneurship, career coaching, and podcasting! You can check out the links below to see what we have in store for you. Don’t miss out on a great opportunity to learn and grow with some of the best!